It’s here! Finally it has arrived! ‘Brisneyland by Night’ is happily nestled between Jay Lake’s ‘Mother’s Urban Booke of Dayes’ and Neil Gaiman’s ‘The Thing About Cassandra’. Thanks, Paula Guran and Sean Wallace! Lisa Hannett has a new feature over on her blog, Tuesday Therapy. This week, elephants are eaten here. We went away this weekend just passed, for a combination early anniversary, late PhD, and SO’s birthday celebration. We went here and it was pure bliss. FableCroft! Books! Sale! Christmas Presents! November 22, 2011	| News, On Publishing, Pimping/Promoting! | Comments Off on FableCroft! Books! Sale! Christmas Presents! FableCroft is moving interstate and they are having a HUGE sale. You’re looking for Christmas presents, right? 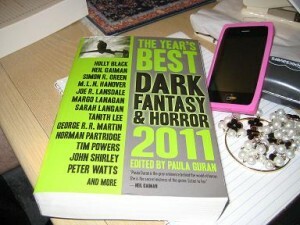 You can’t go wrong with a FableCroft book! Or I will add more ‘!!!’! 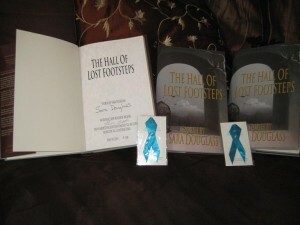 The lovely limited edition Hall of Lost Footsteps from Sara Douglass, with intro by Karen Brooks. … whilst reading a HR document and finding that selection criteria includes “clear annunciation”. I was unaware of the opportunities in the public service to tell virgins that The Lord was going to be their baby-daddy. Sweet mother of crap, learn to spell … and enunciate.